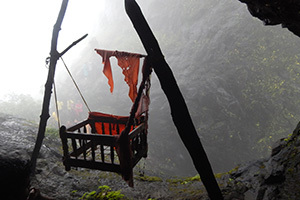 Malshej Ghat is a place that offers something for everyone who decides to tread there. It calls out to adventure lovers as well as those who prefer to bask in its serene beauty and is one of the popular weekend getaways from Mumbai. It is one of those rare destinations that is conducive for children, adults and senior citizens. Small Steps Adventures has listed down the top 5 activities that you can undertake while on that nature trip to Malshej Ghat! 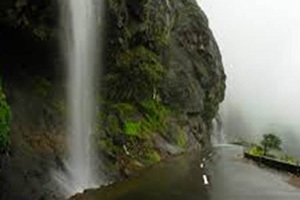 A visit to Malshej during the monsoons is incomplete if you miss taking a dip in the cool and frothing streams of a waterfall.Malshej Ghat is the perfect place to experience getting drenched in the various small and large waterfalls that surround it. Malshej Falls especially is majestic and is considered as one of the best waterfalls near Mumbai. Adventure lovers swear by the trek to Harishchandragad as it is one trek which is on the wish list of every trekker! Located at a height of 4670 feet, this ancient fort is a wonderful combination of adventure and mythology. 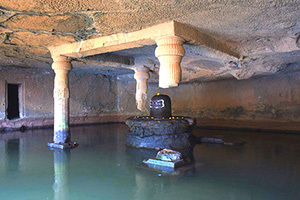 It has various temples dedicated to Lord Vishnu and Lord Hanuman but the most famous icon is the Kedareshwar Cave dedicated to Lord Shiva. Do not miss the spectacular view from the Konkan Kada and the sunrise from Taramati, its highest point the next time you undertake Harishchandragad Fort trek! 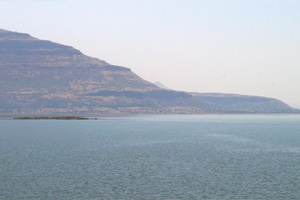 Harnessed using the water of Pushpavati river, this dam sprawls over an area of 5 km. It is a serene spot where one can go to soothe their nerves and find that inner peace! This place is a delight for bird watchers as it is home to a variety of bird species. Do not be surprised if you spot a moorhen, pitta, alpine swift, whistling thrush, green pigeon, quail and pied crested cuckoo here! It also attracts the famous flamingo birds during their migratory shift. Considered as the ‘grandfather’ of ghats, this is one of the most prominent forts. While scaling it, one witnesses a steep straight drop of about 1200 m into the Konkan plains. The trail leads one to a higher upper plateau replete with water and vegetation. The top of the fort offers a panoramic view of the surrounding region. This fort also provides rock climbing opportunities for people planning a trekking trip. 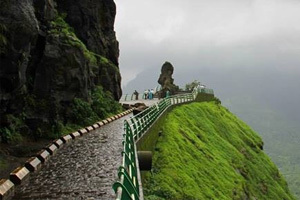 Malshej Ghat offers a variety of trekking trails to suit nature lovers. It doesn’t matter if you are a first-time trekker or an experienced trekker, be rest assured to experience that adrenaline rush when you plan a Malshej Ghat trek. You can scale the Darkoba Peak, JivdanChawand fort and Nane Ghat from this region.